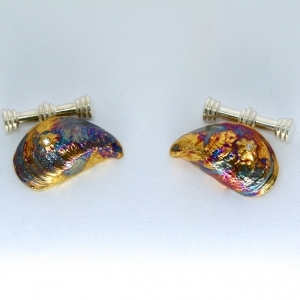 Home / Shop / Cufflinks / Lough Hyne Mussel Cufflinks with Diamond set Barnacles. Funky. 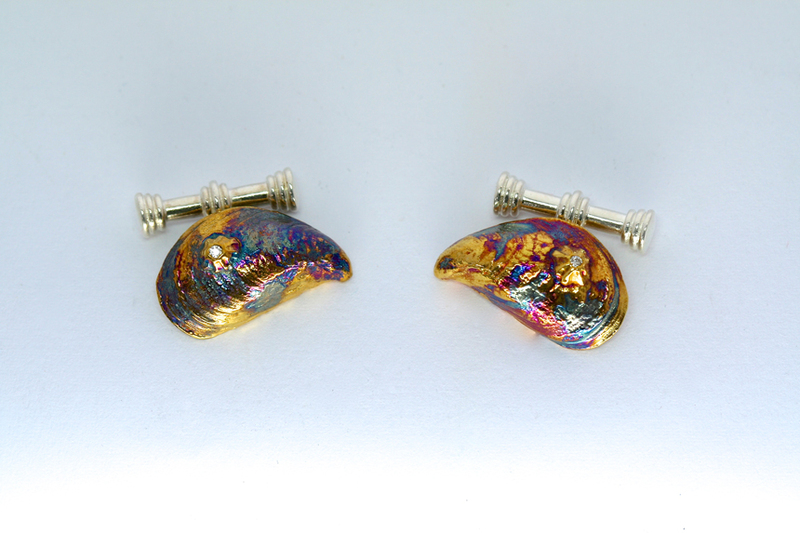 Lough Hyne Mussel Cufflinks with Diamond set Barnacles. Funky. Sterling silver Lough Hyne muscle Cufflinks with diamond set barnacles. 4.3cm. 2.5mm diamond. Funky.